The LEGO Movie 4D A New Adventure will debut at LEGOLAND next year! Though the wait for any more theatrical LEGO movies is still a long one, The LEGO Group wanted to hold things over by bringing back the cast of the film for another new adventure, appropriately titled The LEGO Movie 4D A New Adventure. 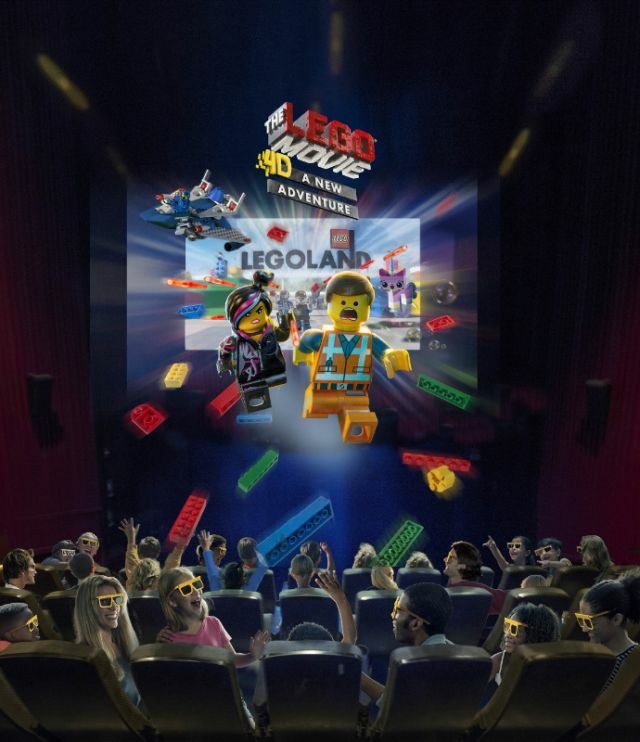 The experience is set to premiere at the LEGOLAND Florida Resort on Jan. 29, 2016, followed by LEGOLAND California Resort on Feb. 6, with the film continuing to roll out at LEGOLAND Windsor, LEGOLAND Billund, LEGOLAND Deutschland and LEGOLAND Malaysia. Shortly after, guests at the 11 LEGOLAND Discovery Centers in North America, Asia and Europe will get to experience this thrilling new adventure. Written by Adam Pava (writer of The Boxtrolls) and co-written and directed by Rob Schrab (director of the sequel to The LEGO Movie debuting in 2018), The LEGO Movie 4D A New Adventure is bringing back some of the original voices, including Elizabeth Banks (Wyldstyle), Alison Brie (Unikitty), Nick Offerman (MetalBeard) and Charlie Day (Benny) and will introduce a new villain, “Risky Business,” voiced by Patton Oswalt. 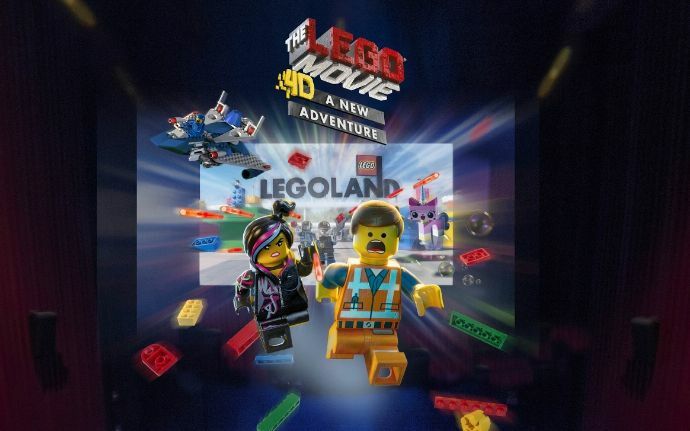 The LEGO Movie 4D A New Adventure follows a new journey for Emmet, Wyldstyle, Unikitty, Benny and MetalBeard after they receive a mysterious invitation leading them to a new theme park where all of the rides are based on the characters’ adventures in The LEGO Movie. But not all is as it seems as the heroes are once again thrust into the middle of an evil secret plot, only this time, it will be up to the audience to use their Master Builder skills to help save them! Using elements such as wind, water, smoke and special lighting effects, the larger-than-life experience brings the film’s main characters, Emmet and Wyldstyle, back together with their friends for another awesome adventure. The next theatrically released LEGO Movie will be The LEGO Batman Movie on February 10, 2017. Following that will be LEGO Ninjago on September 22, 2017, The LEGO Movie Sequel on May 18, 2018, and The Billion Brick Race on May 24, 2019.